Why Did The Nationalist Troops Retreat From The Outer Rim Of China's Coast, Zhoushan Archipelago? 1. US intelligence provided information that in February 1950, a Soviet Air Force General led 3500 personnel, together with 99 war planes and radar detection, to amass an array on the eastern coast of China in Shanghai and Xuzhou. In order to keep the last weak roots of the Chinese military power, Chiang ordered the retreat. 2. Apparently, the PLA and Soviets were building up a force to attack Nationalists. 3. To save the last 130,000 troops and 20,000 civilians on Zhoushan Archipelago, Chiang Kai-shek decided to retreat to Taiwan in May. At this point, US Secretary of State Acheson thought that US may postpone the fall of the ROC, but was not able to save it, so he refused to lend any assistance. 4. Chiang Kai-shek was not a coward for retreating to Taiwan, as there was nowhere else to turn to. After Chiang Kai-shek took Charlie Cooke to survey the coast of China, he was advised to immediately retreat from Zhoushan Islands to Taiwan to preserve the force because the Soviets amassed modern anti-aircraft weapons. This triggered the discontent of Chiang's subordinates who criticized him for not firing a shot. Many people believed that this was only a temporary retreat to Taiwan, they never thought it would be permanent, but they could never go home again because Russia encroached on the mainland starting in Manchuria while MacArthur's movements were restricted. 5. With Acheson and Truman refusing to help officially, Chiang had to enlist unofficial US personnel to help, such as former 7th Fleet Commander Charlie Cooke, who linked Chiang Kai-shek to General MacArthur to obtain defense weapons at a cheap discount from a commercial group called CIC led by Nelson Rockefeller. We accredit the existence of the ROC to the US Navy, intelligence, CIC, and General MacArthur who resolved not to let Taiwan to fall into Communist hands. An American military attaché estimated that the Communists would attack in May or June 1950. By May 20, 1950 they had safely retreated to Taiwan. 6. The Korean War broke out on June 24, 1950. 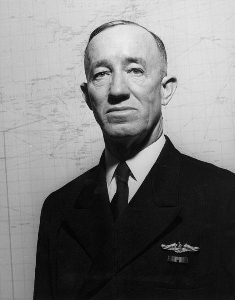 In July 1950, Nationalists bought new radar equipment through the CIC for air defense, Cooke offered his help. 7. General MacArthur decided to keep Taiwan as a "military rollback", as a base to launch counterattacks to Mainland China. 8. General MacArthur was fired by Truman in April 1951 for advocating a counterattack on China crossing the Yalu River from North Korea. Who Saved Taiwan? General MacArthur, Korean War, CIC who provided discounted weapons for self-defense, or unofficial military advisors such as Charlie Cooke?